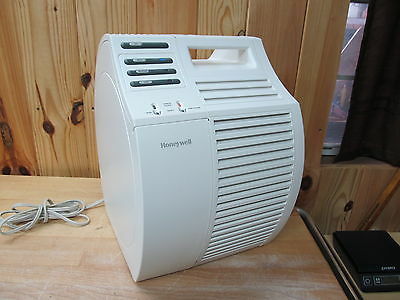 Honeywell - 17000-S : Air Purifier Review • The Air Geeks, reviews of air conditioners, dehumidifiers and air purifiers. Are you looking for a suitable air purifier for your house? The 17000-S QuietCare air purifier is a strong product that captures nearly all airborne particles from the air in your room. Whether you want to eliminate cat dander, tobacco smell, pollen, or any other contaminant from the air, this unit will transform the environment of your room quickly and effectively. Considering that you could be planning to get this air purifier for your room, we have compiled information that will help you to make a wise decision. At the Air Geeks, we have gathered everything that you need to know about this unit; from its features to its merits and demerits. Without wasting time, let us start with its description. The 17000-S QuietCare is a portable air purifier that is suitable for relatively small rooms. If your room is approximately 12 X 14 feet, then this air purifier could be a good solution for your air purification needs. In addition, this unit circulates air up to six times in one hour to make sure that there is no stale air in any corner of your room. Ready, as soon as out of the box! Are you trying to eliminate animal dander, bacteria, molds, smoke, pollen, dust mites, odors, or viruses from your room? 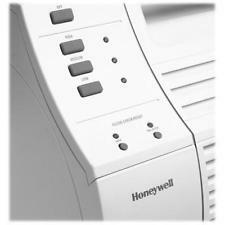 The 17000-S QuietCare features a true HEPA filter that traps up to 99.97 of airborne particles. Furthermore, this filter is capable of removing minute airborne particles that are small as 0.3 microns. If you or a member of your family is asthmatic or allergic to any airborne contaminant, then the 17000-S QuietCare can help to make your room clean and fresh. Moreover, this air purifier features a pre-filter that removes bad smell to ensure that the air that gets to your nostrils is free from odors. For effective air purification, the filters of your air purifier should be in good conditions. Old and overused filters can lower the effectiveness of your air purification system. So, after how long should you replace the filters of your air purifier with new ones? The pre-filter should be changed after every three months while the HEPA filter should be replaced after three years. The 17000-S QuietCare features a Honeywell’s Intellicheck subsystem that allows users to monitor the lives of its filters. How does it work? Each filter has been assigned a button. If you press the button and the light blinks once, this is an indicator that the filter has a long life before it expires. Two blinks indicate that the filter has less life while three blinks indicate that it is nearing expiration. In case you get a steady light, it means that the filter has expired and a replacement is required. Furthermore, this air purifier offers 3 speeds and soft-touch electronic controls. Where do you intend to place your air purifier? In case you are planning to place this unit in your bedroom, we have observed that it is noisier than most units of same or higher capacity. As such, it may not be a suitable unit for use in bedrooms and other quiet places. In case you are looking for an energy efficient system that will not cause spikes in your energy consumption pattern, then you may need to think of another option. Having used a power meter to study the power consumptions of different units, we observed that this air purifier has higher power needs. It may therefore not be a suitable solution for people who want to save money. Effective Intellicheck system. This system allows users to monitor the lives of the filters. If the filter has expired, it is easy to replace it with a new one. Easy to install and move from one position to another. You can unpack this unit and set it up in less than five minutes. Furthermore, its handle and caster wheels allow users to move it with ease. This air purifier is noisy. Although most systems of this kind produce noise, we have observed that this unit is noisier than many air purifiers of same or higher capacity. “QuietCare” is wishful thinking on the part of the marketing team! Higher power consumption. We used a power meter to check the power consumption of different air purifiers. We noted that the 17000-S consumes more power than most air purifiers of same capacity. Produces a nasty smell. It has been observed that this unit gives a nasty chemical smell. If you want a silent, useless air cleaner, go buy an overpriced oreck or sharper image unit. It will reduce things like smoke and tiny, tiny particles, but forget it getting rid of dust. I know, I had one. If you want a unit that actually "Filters" the air, buy this. Sure on Medium or High this unit will add background noise, but on low, it is hardly noticeable if it's not right next to you. We noticed an immediate "crisp feel" to the air and huge reduction in dust in the air. My cough of 3 weeks is gone overnight. Coincidence. I think not." I got this for the bedroom because it said it was one of the quietest ones on the market but it's actually a little noisier than I had hoped, even on the low setting but you get use to it after awhile. ( I've only had it about a month) It has helped to breathe easier at night, especially considering the cedar pollen has been off the charts." The 17000-S QuietCare Air Purifier is a strong air purification system that is suitable for rooms that are as large as 168 square feet. It uses a pre-filter and a HEPA filter to eliminate different types of airborne particles and contaminants from the air. Despite the good features that this air purifier offers, we have observed that its power consumption is high. Moreover, we have also noted that it is noisier than most units. If you are comfortable with its drawbacks, then this unit can be a suitable solution for your air purification needs. At just $ 130, you can get this good unit and forget about airborne particles, allergens, and other contaminants.